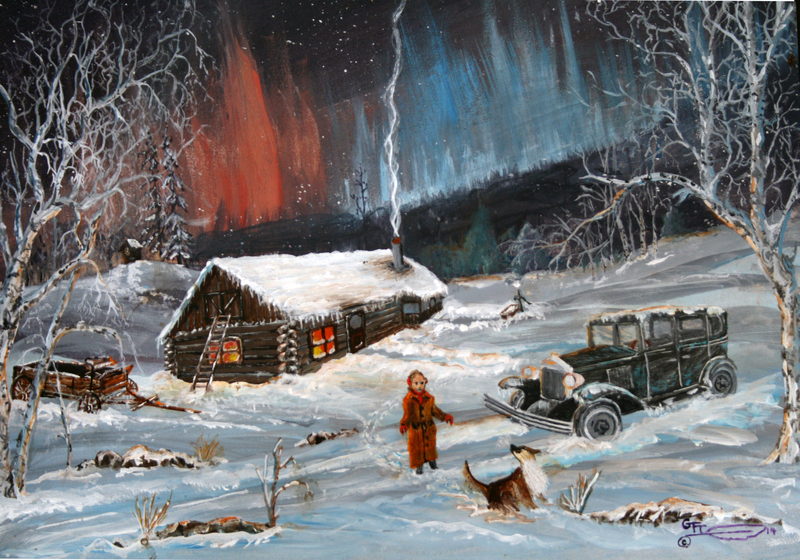 Much of western art from the 19th and 20th centuries portrays the American West in a romantic and idealized style, often glossing over the harsh conditions of life. 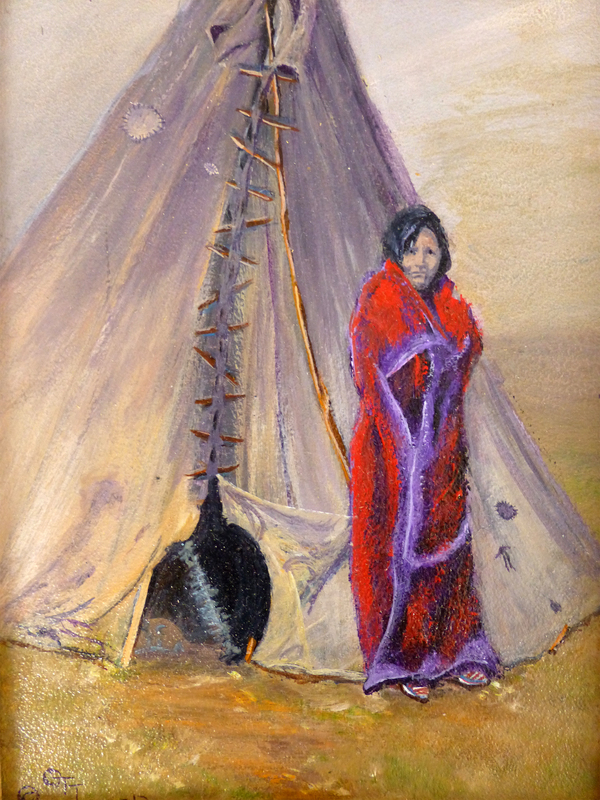 “Home Sweet Home” is an effort to frame the Native American woman in a realistic setting. Her lodge reflects the rough reality of outdoor living – no paradise, little comfort and the bare minimum shelter to survive in an unfriendly environment. The small size emphasizes the central theme – life is hard. Gone is the romance. Remaining is the reality of a hard life. Her pose shows her braced against the harsh cold. She is somber, almost fearful. She might be waiting for the return of her husband, gone too long, on a hunt, a raid, or a vision quest. She may be wondering when she will eat again or when a son or daughter will return. What do you think is happening when you look at her somber expression? Do her eyes mirror the actuality of her life?